Tuna, salmon, eel? 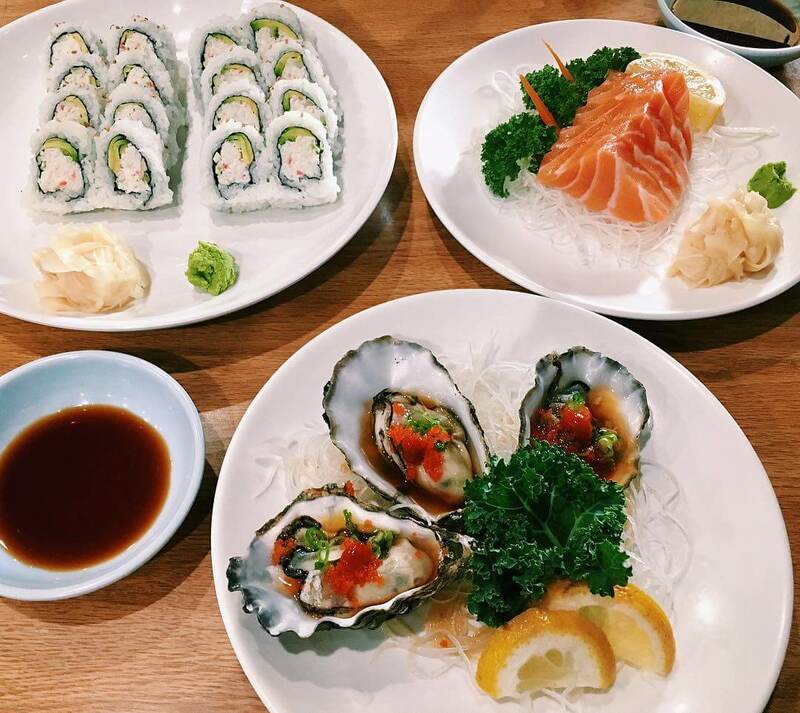 No matter what kind of sushi you’re craving, the Japanese restaurants in San Luis Obispo can give you your fix. 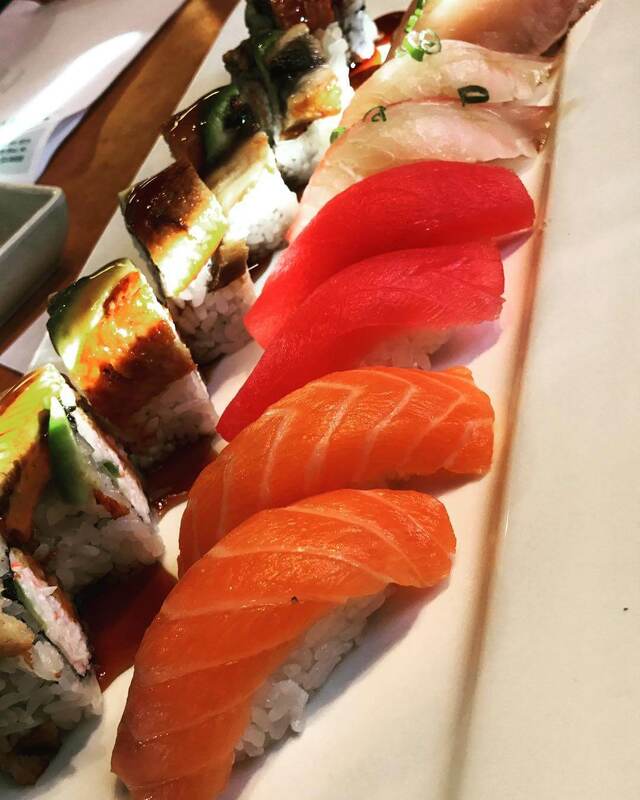 There are several sushi bars and restaurants in the area that offer nigiri, rolls and sashimi with deals nearly any day of the week—there is no shortage of options when it comes to sushi in SLO! Tucked away in The Creamery, Goshi is a traditional Japanese restaurant with authentic, fresh sushi that melts in your mouth. 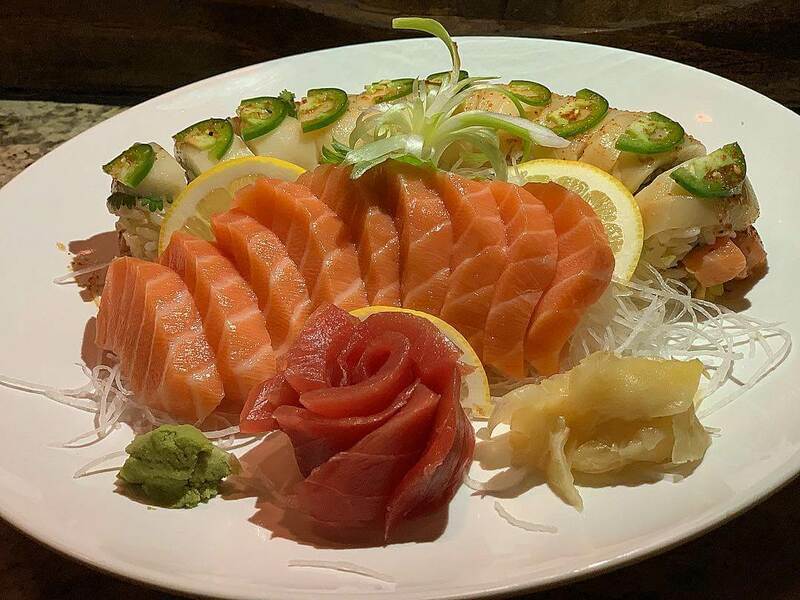 If you and your plus one are feeling ambitious, order the Kanpai Boat for 2 that includes 12 pieces of sushi, 10 pieces of sashimi and two rolls, on top of other sides and appetizers. Oh, and don’t forget about the sake and tasty Japanese beer. Sushiya has dozens of rolls that are far from traditional, including fried, baked and uniquely named rolls like the Garlic Escobar and Kiss on the Beach. Spend over $15 before taxes on rolls from their yellow menu and receive 50% off. They’re tasty, robust and most of all, affordable. 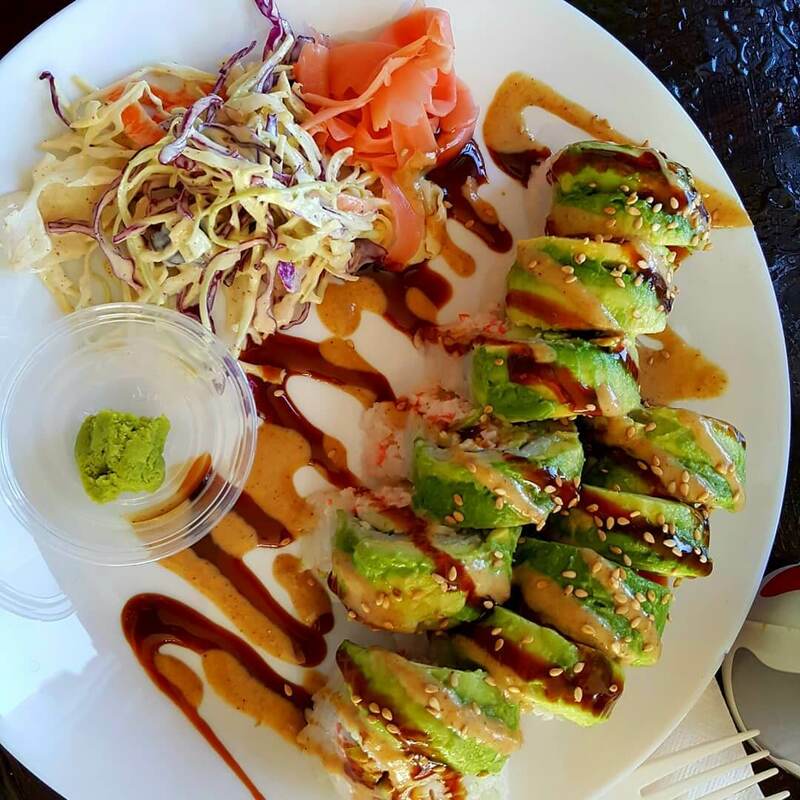 Located in Downtown San Luis Obispo next to Fremont Theater, Aisuru Sushi has deals every day of the week on various menu items. Visit Monday for $2.50 ninja rolls, Tuesday for $1.99 California rolls, Wednesday for spicy tuna rolls and Thursday for the house special. Aisuru is a locals’ favorite to celebrate, so don’t be surprised if you find a group enjoying sake bombs – feel free to join the fun the Aisuru way. Right off of Marsh Street, in the center of town, Arigato Sushi provides an upscale modern vibe to the SLO sushi restaurant scene. Offering a fusion menu, every plate is a work of art showcasing fresh fish from around the world including Japan, Hawaii and Spain. Arigato is more than a restaurant—it’s an experience. Yanagi Sushi in SLO is one of three locations in San Luis Obispo County. This cozy restaurant offers a popular late happy hour from 8:30 p.m. to close with $3 beers and sake as well as deals on rolls and appetizers. If you’re in the mood for something other than sushi, Yanagi also offers several delicious Korean dishes from their extensive menu. At Sushi Kokku, you’ll be greeted with a relaxing atmosphere and friendly staff. 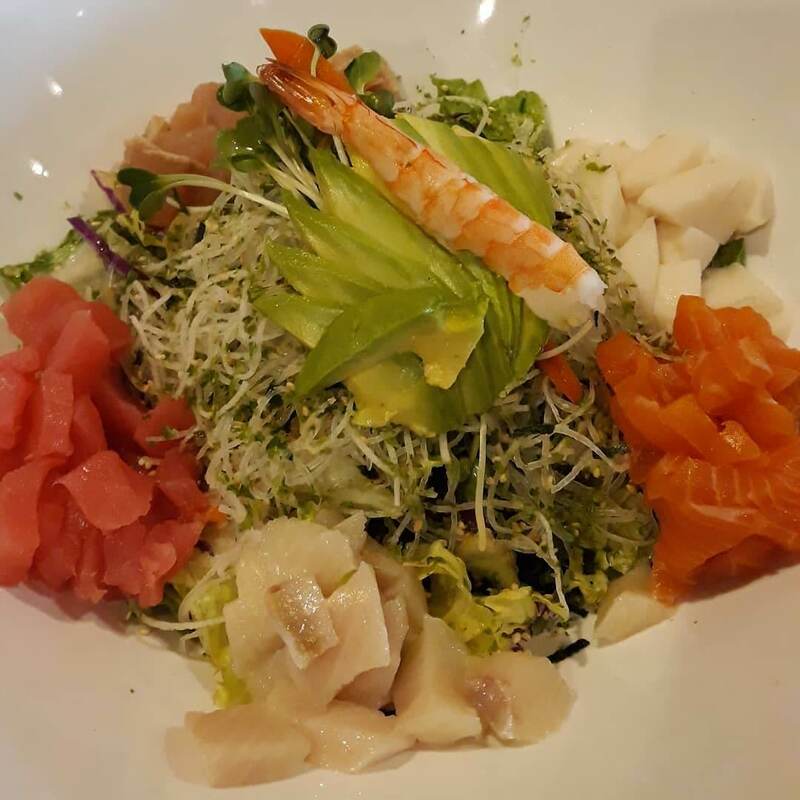 The restaurant offers traditional Japanese food like udon, tempura and teriyaki bowls as well as sushi rolls. This location just off of Madonna Road, which is one of three in SLO County, lies just a short walk or drive away from most bustling areas and hotels in San Luis Obispo. If you’re looking for a place that has grab-and-go $2 California rolls on Tuesdays, HaHa is your place. Be cautious—although they have tons of California rolls on deck, there is almost always a line out the door. If you stop in during a less busy time, enjoy a sit-down meal with their unique rolls and rent out karaoke if you’re bringing the whole gang in. No matter what kind of atmosphere you’re looking for in a sushi restaurant, SLO has it all. From the traditional to the unconventional, San Luis Obispo is a hub for tasty Japanese restaurants that will leave you feeling full and happy.